Audi A8 L 50 TDI Quattro S Line 4dr Tiptronic 2019 Review | What Car? What Car? will save you at least £11,375, but our approved dealers could save you even more. Opting for S line trim gets you larger 19in wheels, Matrix LED headlights with LED rear lights, front sports seats and rear privacy glass. The 3.0-litre V6 diesel has 282bhp. 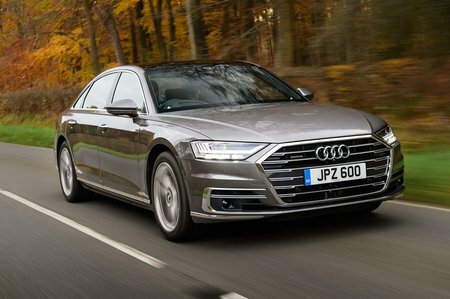 It's a brilliant engine in the A8; with 443lb ft of torque available from low in the rev range, performance is remarkably brisk and overtakes largely effortless, while it also manages to return decent fuel economy. Paired to a slick, eight-speed automatic gearbox it proves to be both smooth and whisper quiet, too.